‘A’ Force Burma, Green Force, No. 3 Battalion. Thailand-Singapore by aircraft, Singapore‐Fremantle, HMT Highland Brigade. 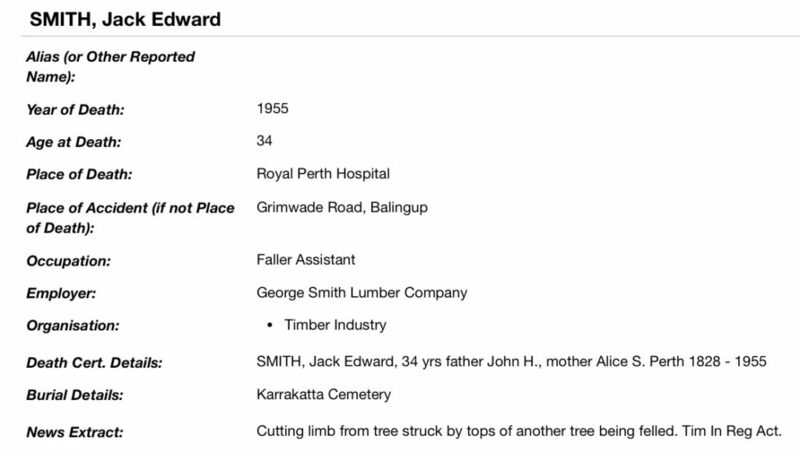 Read about Jack’s mother receiving mail from Burma and Jack’s mates. Jack was selected in Singapore to work on the Burma end of the Railway with ‘A’ Force Burma Green Force No. 3 Battalion. At the end of the war Jack was at Tamarkan Camp, Thailand and was recovered from there. 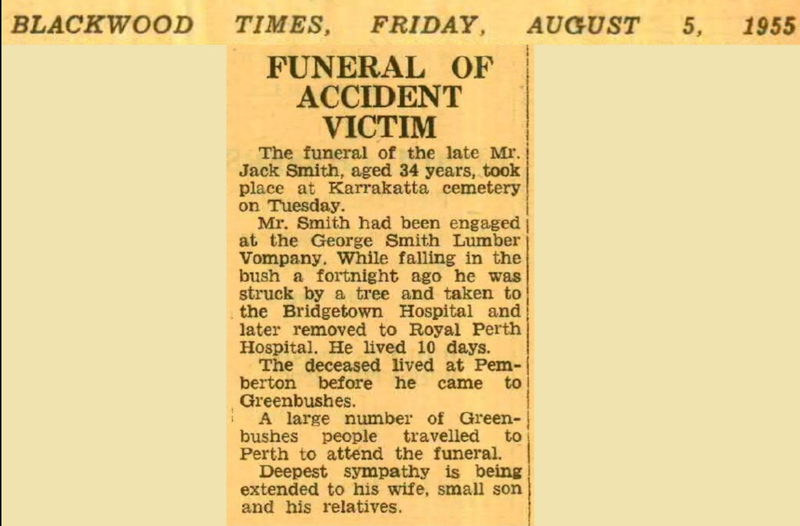 Jack Smith died in Perth in 1955, aged 34 years having been fatally injured at his work place. His tragic death seems unfair. Jack had survived some very tough years as a POW working on the railway and almost 4 years as a POW of the Japanese. He was newly married and he and his wife had their first child and looking forward to their lives ahead. His mother died in 1971 and his father in 1981. Jack departed England November 1924 on the ‘Bendigo’ to Western Australian with his parents and younger sister, 3 year old Vivian Alice who died August 1930 aged 9 years. 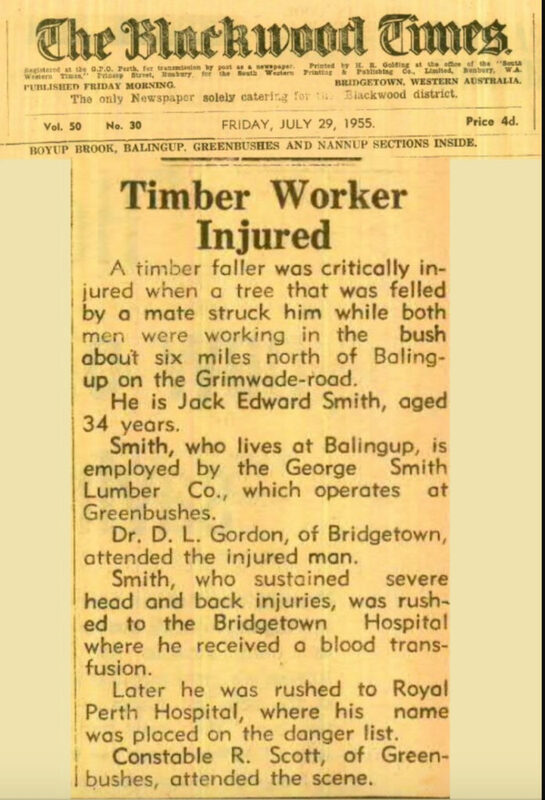 His father John Henry Smith recorded his occupation as soldier. He enlisted in 1912 as a 17 year old and served with the Queen´s Royal West Surrey Regiment. There were 3 additional children after the family arrived in WA, Albert, Stanley and Muriel.